Our club top ‘training group’ – these are competitive standard swimmers who want to train but cannot commit to the more rigours demands of the squad training 8 hours or more per week. Swimming for fitness with occasional club competitions. Two weeks in a row makes since for breaststroke, giving some swimmer four shots at it over this period. It is encouraging to see that I am building in their pervious efforts, that I don’t have to repate all the drills. I concentrate on the glide which most swimmers rush yet is so vital to competitive breaststroke. this is achieved. 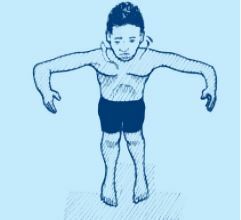 by getting them into the streamline position: from ‘dead swimmer’ to streamlined, also the streamlined bounce up the pool, as well as push and glide ( or slide) then adding the underwater ‘keyhole’ stroke. This and drills such as : two kicks, one pull and two second glide on evwry kick couting out the seconds as: one missippi, two mississippi. With one swimmer unable to dive or somersault I do a set in the lane agsinst the side of the pool aimed at helping. This takes from ‘Flip and Fun’ the forward and backward s canonball roll. I get close with K but fer it is going to take a while before she can somersault or dive. Swmmers get stuck in a rut with this one, raising the head, jumping in not diving, unable to get their head tucked in.